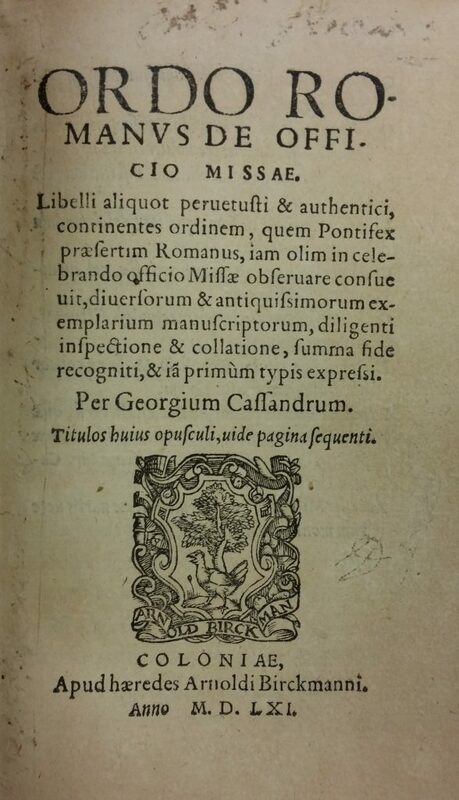 Ordo Romanvs De Officio Missae, authored by Georg Cassander (1513-1566), was issued with another of Cassander’s works, Litvrgica de ritv et ordine dominicae coenae celebrandae, and sold as a single volume. Working towards the reunification of Catholics and Protestants, Cassander sought common ground in the teachings of the early Church. In his writings, he draws upon the importance of the immutable texts of the Mass, and references ancient, medieval, and modern writers to state his case. Georg Cassander. Ordo Romanvs de officio Missae. Issued with Litvrgica de ritv et ordine dominicae coenae celebrandae. Cologne: Heirs of A. Birckmann, 1561. 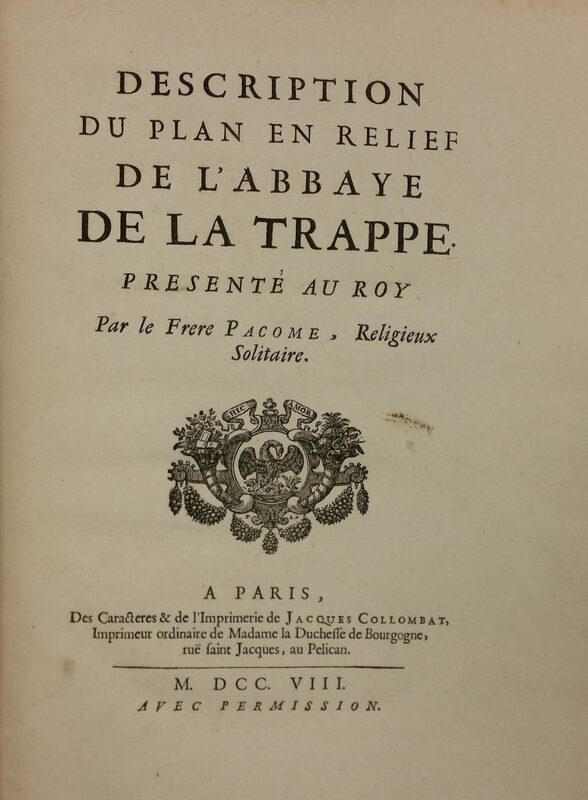 Pacôme’s description of the Cistercian monastery at La Trappe, Description du plan en relief de l’abbaye de la Trappe, features etched illustrations showing exteriors and interiors of the abbey, scenes of daily life, agriculture, communal meals, and the journey of the exiled James II of England. The description was meant to accompany a sixteen-by-fourteen foot scale model of the monastery, commissioned by the Abbot to be presented to Louis XVIII. Pacôme, Delorme, frère. fl. 1708. Description Du Plan En Relief De L’Abbaye De La Trappe. Paris: J. Collombat 1708. Cassander, Georg (1513-1566). Ordo Romanvs De Officio Missae. [Issued with: Litvrgica de ritv et ordine dominicae coenae celebrandae]. Cologne: Heirs of A. Birckmann 1561.